I’ve been a huge F1 fan for over twenty five years and still watch it religiously. 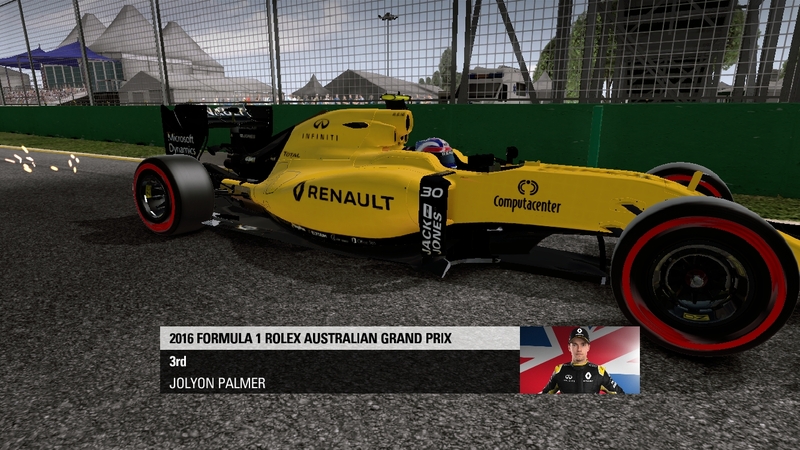 And I’ve also had the chance to play a couple of the Codemasters’ F1 PC games in the past, so I have a pretty good sense of what the developer brings to the racing genre. 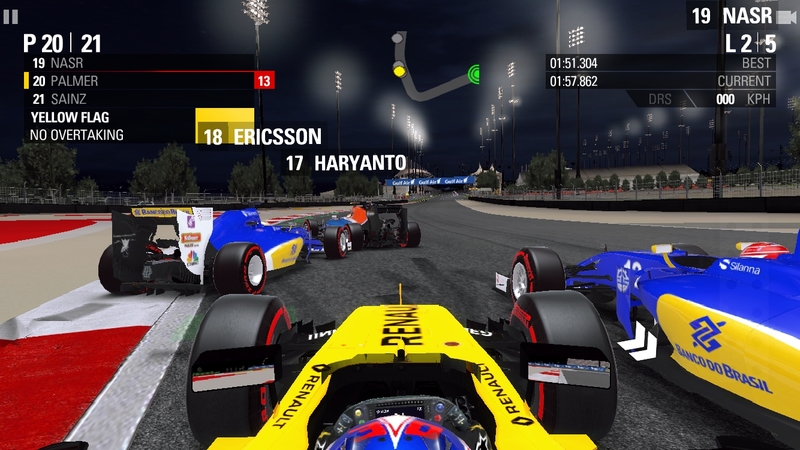 So, when I heard at the Apple keynote that Codemasters was bringing what looked like a full F1 game to mobile, I was very excited. I love racing games on mobile, and I always thought that a well-made F1 game with the actual license and tracks would be great. Now we finally got F1 2016 ($1.99), and I have to say I’m impressed in some ways and quite disappointed in others. First of all, this game has way more content than I expected it to have in terms of modes and ways to play it. At the same time, half of those modes are marred by incredibly dumb AI opponents. And on top of that, there are numerous bugs and design decisions that make playing the game frustrating at times. When the driving clicks, though, the game is really fun. F1 2016 brings along all the current cars, drivers, and tracks, so that alone makes it a great game for those who follow the sport. Being able to race as Hamilton in the all-powerful Mercedes in Spa is definitely a treat you can’t get from other games. 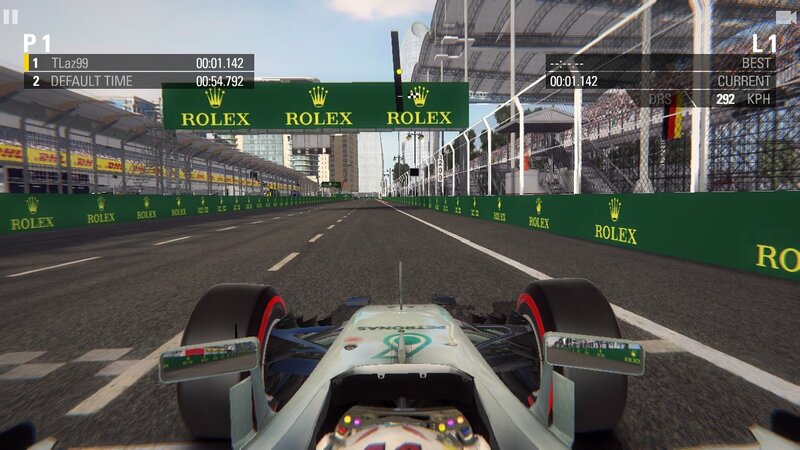 If you don’t follow the sport closely, you’ll still benefit by the licensing because the game’s 21 official circuits are pretty fantastic (well, almost all of them) and very fun to race in. The game offers a full Season mode, where you can race all 21 circuits in a row. You can do a full race weekend, which includes Practice, Qualifying, and Race Day. There are plenty of options in terms of how long you want spend in each mode; for instance, you can do an 8 minute or 15 minute practice, and a 1 lap or 3 lap qualifying session, or even a 3 round qualifying session. Race day is equally customizable, and you can do from a 1-lap race up to the full 100% race (usually over 60 laps). Although the 100% race is a great challenge, make sure you plug your phone in because this game goes through your battery quite quickly. In addition to the Season mode, there’s also a Custom Season, where you can pick which races make up your season, a Quick Race on a single circuit, a full race weekend on a single track, Time Trial, where you race for leaderboards position, and a Weekly Event, which gives you a track and a driver and has you competing with others. As you can see, there’s no lack of ways to race in F1 2016, and since this isn’t a F2P game, all those modes are available all the time. However, keep in mind that any mode that has you racing against the AI will frustrate you immensely. I’m a pretty decent driver in F1 games, so I know how to use the right racing line, when to brake, when to overtake, and so on. Racing against the AI makes me want to just go ramming all of my opponents off the track because they are completely dumb and race like they just had a bottle of whiskey and then decided to wear blindfolds. Let me give you some examples. The AI cannot drive in a straight line if you’re behind it; it keeps squirming as if the car is trembling and that makes overtaking it quite hard. Also, when you follow even fantastic AI drivers, you’ll see them repeatedly go off track at specific turns as if they still don’t know how the track works. If there’s an incident in the track (for instance a car that’s facing the wrong way), they will all literally stop behind it and wait as if it’s a red light in a busy intersection. I could go on and on about all this issues, but I’ll just tell you my biggest gripe with the AI; it doesn’t know or care where your car is positioned in the track. The AI always wants to be on the racing line, and it doesn’t care if you are actually on the racing line or your car is currently between the AI car and the racing line. It will literally try to drive through you and go to the racing line, which results in you having to play bumper cars instead of actually racing. And it won’t stop trying to get to that racing line even if it’s currently crashing into you. As far as the AI is concerned, you don’t exist. I cannot even count the times I was driven off the road simply because I pulled a nice overtake but the AI failed to notice that I was actually ahead of it and simply took me out by clipping me from behind. I started playing the game with full damage on but soon had to switch it off because the dumb AI kept damaging my car. And the AI is not the only issue; there are also many serious bugs as well as some weird design decisions. I have an iPhone 7 and yet the game stutters significantly when I go over kerbs. In a racing game like this one, you can’t afford a wrong move let along a big stutter. 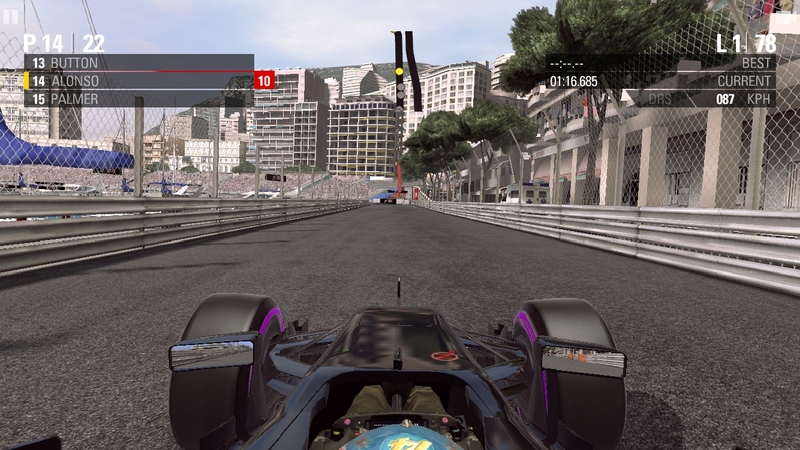 I have also been dropped on top of other cars in qualifying (you appear on the track rather than drive out of the pit box), which resulted in my car toppling over, I’ve had my car completely stop in the middle of the track with no button responding, and many more issues like this. There are also some weird design decisions. When the game drives you out of the pit (you can’t drive it yourself), it often takes you on the wrong racing line and then literally stops you in the middle of the track before handing control over to you. Safety cars often end in all the cars stopping in the middle of the track in a nice line and you getting a warning for having parked in the wrong place, cars smoke like crazy when they brake, ehivh makes it hard to see the track, and many more similar problems. These are issues the F1 2010 PC game had (which was the first F1 car by Codemasters), and although I know the PC version of F1 2016 is supposed to be great, F1 2016 for iOS definitely feels like a first attempt at an iOS F1 game. Now that I got all the negative aspects of the game out of the way, let’s talk about what works well in F1 2016. While the visuals aren’t the most amazing you’ve ever seen in a mobile game, F1 2016 looks pretty good and all the cars and circuits are reproduced in great detail. And the game sounds good too, including the wheezing of the turbo. The driving model is not a simulation by any means, but if you set up the sensitivity right, you can really nail those apexes and really enjoy the drive. Yes, the game has always-on assists like keeping you from spinning when you put the power down too early or not letting you slide the car into corners, but it’s still fun for a game where you have to use the touchscreen to drive. The game gives you a few ways you can drive (gyro or touch) and a few assists to help you learn the ropes, but I wish braking was more of a slider than a button; it’s difficult to brake well after a long straight without locking the wheels simply by tapping. The control scheme isn’t bad, especially in some tracks, but a brake slider would in my mind be ideal. As you can tell from the review so far, F1 2016 is a great game if you only want to do Time Trials but a pretty frustrating one if you like racing against the AI. Codemasters has always had a problem getting the AI to work right in its F1 games, so I’m not really surprised to see the AI in F1 2016 having all these issues. A game that offers 60-lap races cannot afford to have AI that spins you out of contention on lap 50 because it can be frustrating as few other experiences in gaming. Should you buy the game, then? As I said, it you enjoy solo racing, this is a very entertaining game that offers a lot of content in terms of circuits and weekly events. Just keep in mind that you’ll have a hard time doing wheel to wheel competitive racing. If you want to see what our forum users think of the game, head this way.